Note: This is the first installment in a series of posts by OTPYG Guest Blogger Jessica McCleary. She'll be sharing her firsthand experiences with moving to small town America in April 2008. How is the relationship faring? Stay tuned! Things continued to be shaky when I found two inches of snow on my rental car. I had been wearing shorts and t-shirts for a couple of weeks, so snow was a shock to my thin California blood. But I forged ahead with the interview (which went very well!) and drove up the mountain to Park City for dinner that night. What I found was an utterly charming mining town that had been all dolled up for the rich and famous. Main Street has old buildings, and old-looking buildings, all of which feel like they came out of the 1880s mining rush. Park City is one of the few towns in Utah not founded by the Mormons, so streets have actual names, and there is no grid system (or temple for that matter). There are galleries, restaurants, tourist shops, bars, hotels and condos discretely tucked away, and big houses on the hills. The ski resort is at the base of town – there are even runs that allow you to ski right down to Main Street. You could say Park City is a little slice of heaven at 7,000 feet. I received the job offer and had a tough decision. Do I stay with my current town (Walnut Creek, California, a suburb of San Francisco with a population of 64,000), that has walkability, the ocean, a major city nearby, mountains a few short hours away, wine country, fabulous restaurants, friends and family, good bartenders, great weather…the list goes on and on. Or do I take a chance, live in a small mountain resort town, work at a dream job and start life all over again? The cons were obvious – no support system was available to me. I knew almost no one there, and I would be two hours away from home by plane if I got homesick. Plus the strong Mormon culture sounded a bit bizarre, and the strict drinking laws were enough to turn off anyone who enjoys a good cocktail (like me). Ultimately, I decided to take the leap, break up with Walnut Creek and pursue my career goals in Salt Lake City. The main reason came down to great job in Salt Lake City or no job in Walnut Creek. So I had a tearful goodbye and committed to start a real relationship with Park City. How did the first few weeks go? Was there a spark? Could she find a glass of wine? 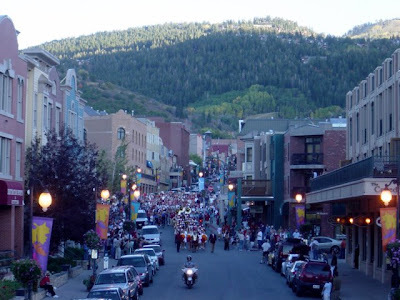 Be on the lookout for a second installment about Jessica’s move to Park City (population 7,300) next week! Register onMatchfinder's dadhich matrimony portal to find your life partner.